The AT89LP2052 and AT89LP4052 microcontroller provide two interfaces with same command format for device programming. The serial ISP Programming interface of the new LP2052/4052 microcontroller needs one additional SS Signal for device programming. 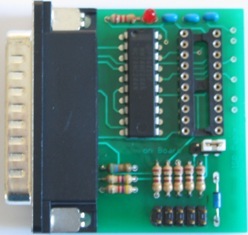 This 2052 / 4052 programmer design uses the serial programming mode via Parallel Port and supports the SS Signal. This final design also supports the AT89ISP Programmer cable / Atmel ISP header and Atmel ISP Software!! If your design does not have an ISP Header or if you are looking for a low cost programmer for this Atmel device, then you just can put the device into the socket on the small pcb and programm the device without any external power supply(The parallel port must support at least more then 3 Volt). Read of Lock bits and User fuses and Verify after Flash Write are supported by the software. To minimize the influence of undefined states it is necessary to start the host software (to disable Vcc and Vpp !) before a 2052 / 4052 LP device is put into the socket. The programmer is controlled by GMS software running on the host. The software supports writing the flash memory (hex files), Lock bits and user fuses in SPI programming mode. The GMS software can handle the Vcc and Vpp signals of the microcontroller. The status of the signals are displayed by LED 1 and LED 2 on the board. 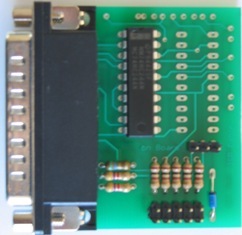 The 10 pin ISP Pinhead is compatible with Atmel ISP software. 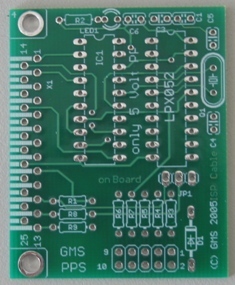 Complete PCB (with 20 pin socket to program the LPx052 microcontroller device direct on the PPS Board (easy to disable / enable the internal LP fuses, the parallel port must support at least more then 3 Volt) or just use the 10 PIN ISP connector and original Atmel ISP Software. No crystal is needed to flash the device. 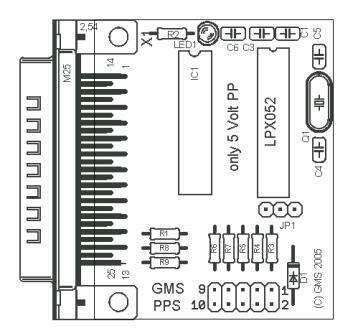 Just use the 10 PIN ISP connector and original Atmel ISP Software. Its easy to solder the parts. The PCB is shipped with part list. Interested in more than 50 PCB's ?